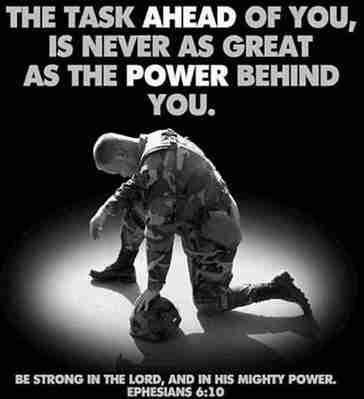 Lord, hold our troops in your loving hands... Protect them as they protect us. Bless them and their families for the selfless acts they perform for us in time of need. I ask this in the name of Jesus, our Lord and Savior. Amen. Of all the gifts you could give a Soldier, Sailor, Airman, Marine, Chaplain & others deployed in harm's way, prayer is the very best one. Thank you for the halloween cards! Congrats on the new name as well! Happy birthday from our heroes!